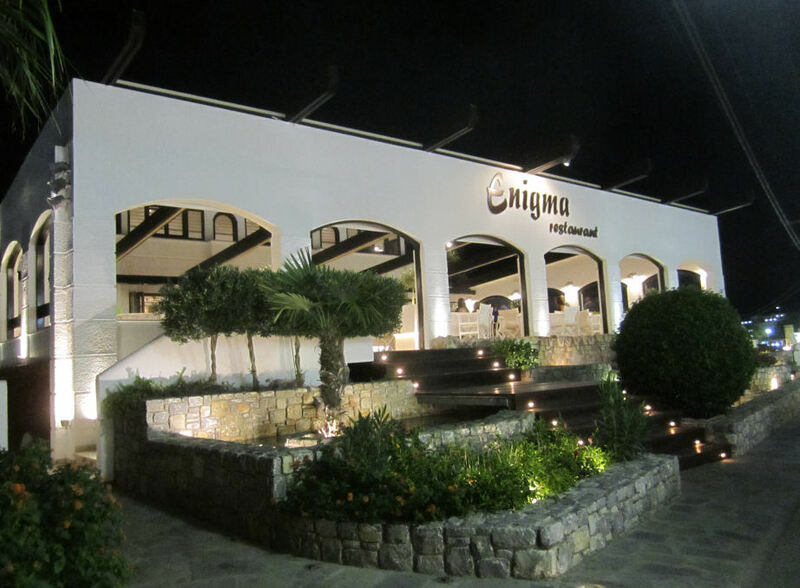 Enigma is a restaurant in a stylish build at the corner of Main Street and the Main Beach Road. There's a very varied menu here. The variety of locally caught Sea Food, and the recipes from Lindos, combined with some international dishes caters for most tastes. There are three distinct eating areas. The stylish exterior continues throughout with fountains and white washed walls and well dressed tables. This is a very popular venue for wedding meals. 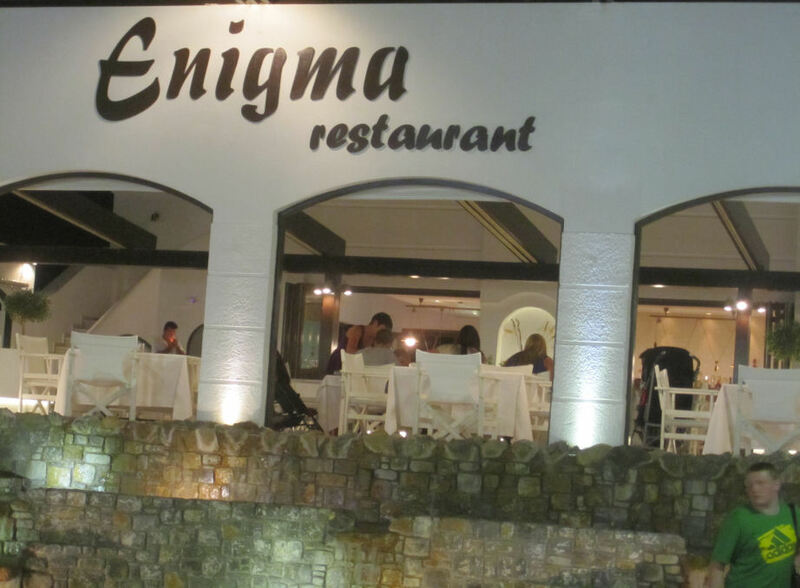 More details can be found on the Enigma Restaurant website. If this is a favourite of yours, give them a vote in Best in Pefkos 2017.